"I'm already 69 years old. I can pass down my 45 years of experience," said Gou. "That's the goal I set up —to let young people learn sooner and take over sooner and to replace my position sooner." Gou is looking handing the reins to a younger executive. Not only is he looking at stepping dwon from the chief executive position, but speaking to Reuters he said that he was considering also resigning as chairman of the board —but that would need board approval. "I have to say, basically, I'm working toward that direction - to walk back to the second line, or retire," Gou said. "I will be involved in the major direction of the company, but not involved in daily operations. 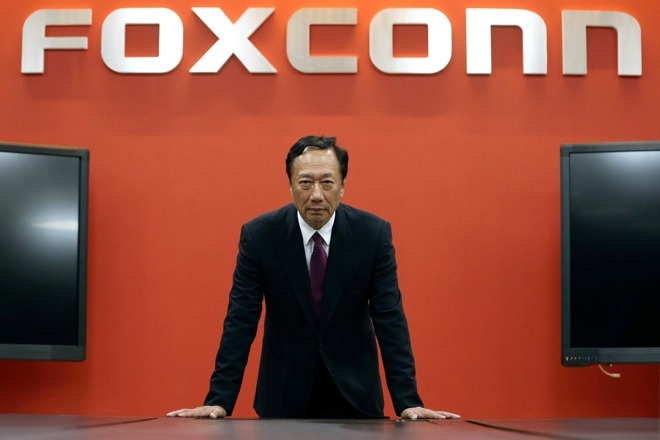 Foxconn was founded by Gou in Taiwan in 1974. The company's first big order was the Atari console joystick order in 1980. The next major escalation for the company was in 1996, when the company was tapped for chassis components by Apple. Compaq, HP, and IBM. Shortly thereafter, the company expanded beyond plastics and metals, and dove into electronics manufacture. Foxconn's biggest customers and manufactured goods at present are the iPhone, Sony PlayStation consoles, and Dell computers.